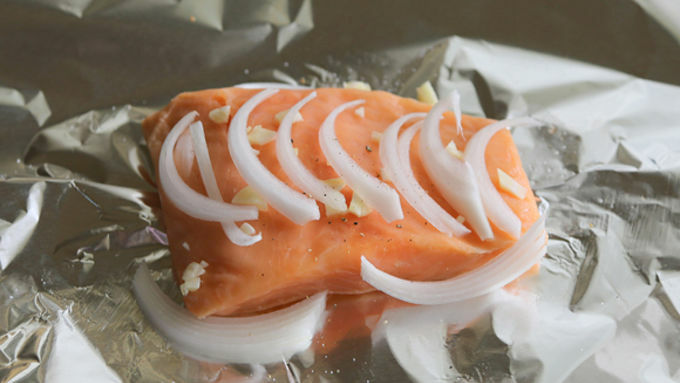 Place each fillet of salmon on its own rectangle of foil. Add 1/2 clove of garlic to each fillet and some sliced onions on top. 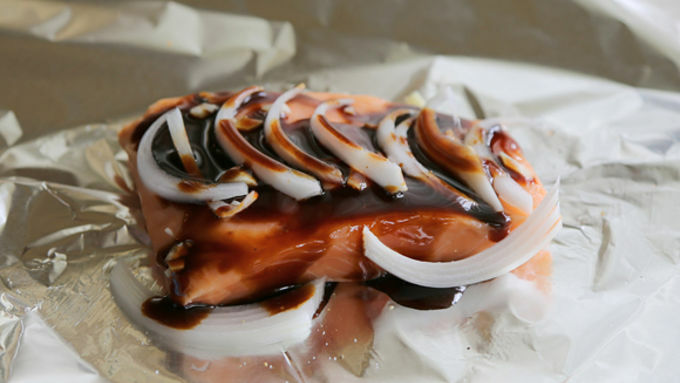 Drizzle each piece of salmon with 2 Tablespoons of teriyaki sauce. 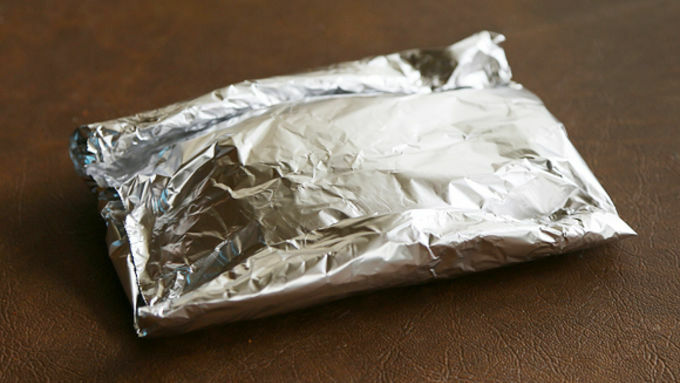 Place another rectangle on top of each fillet and fold up the edges until sealed tightly. Bake for 20-25 minutes or until done. It will depend on how thick your fillets are. It could take more or less time. Salmon with personality! That's what you get with this super easy Teriyaki Salmon recipe that has only 4 quick ingredients. After eating a lot of junk food, I find my body naturally wanting a detox from all things processed and unhealthy. My go-to for this is always salmon. It's easy, full of nutrients and puts you right back on the healthy eating train. 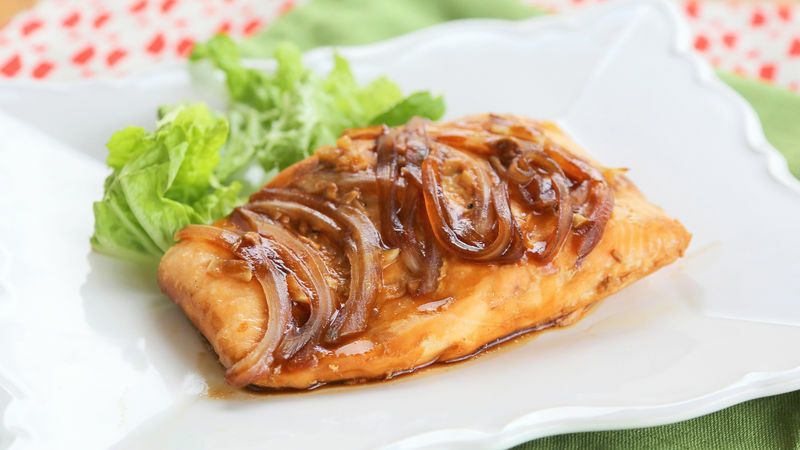 This 4-Ingredient Teriyaki Salmon easily comes together with some sliced onions, garlic, and a little teriyaki sauce drizzled on top. Whoever said eating healthy is too much work has not tried this recipe.